This Georgia native captured America’s heart when she appeared on American Idol earlier this year and revealed her enthusiasm, humor and warmth — as well as a commanding voice that has been compared to the genre’s premier vocalists, including Carrie Underwood and Martina McBride. Alaina has since made her debut on the world famous Grand Ole Opry, presented on the CMA Awards and released her debut album, Wildflower,to rave reviews. In the album, Alaina showcases compelling stories, powerful emotions and soaring vocals. Inheriting a love of Country and rock music from their parents, The Band Perry - siblings Kimberly, Reid, and Neil Perry - have performed and collaborated together for the past thirteen years. They describe their three-part harmonies, traditional instrumentation and contemporary flair as a "modern throwback" - and it is a winning combination. The Band Perry recently won the 2011 CMA New Artist of the Year and Single of the Year awards, and Kimberly earned the Song of the Year award. Their self-titled album was released in 2010..
A CMA Award-winning singer/songwriter, Bentley has forged his own brand of Country music combining classic Country songwriting, influences of bluegrass instrumentation and the energy of rock and roll. With five studio albums, he has earned 10 GRAMMY Award nominations and eight number one hits. 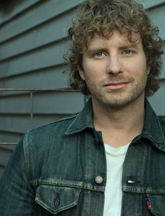 Bentley is a member of the Grand Ole Opry and has headlined arena tours across the U.S. and abroad. His Miles & Music for Kids charity event series has raised to date $2 million for Children’s Miracle Network Hospitals. One of the finest bluegrass virtuosos in the world, Krauss' reputation as a renowned musician and singer was cemented in her early teens. She effortlessly bridges the gap between roots music and country, rock and pop. An award-winning producer and a highly sought-after collaborator, Krauss has worked with some of the biggest names in popular music and she has garnered 26 GRAMMY Awards, an unsurpassed achievement for a woman. Her latest album is Paper Airplane, all-new recordings in partnership with her longstanding band Union Station. 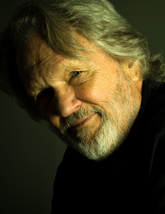 A GRAMMY Award-winning artist, Kristofferson studied creative writing at Pomona College in California. Then the Phi Beta Kappa graduate earned a Rhodes scholarship to study literature at Oxford. In 1965, Kristofferson turned down a West Point teaching assignment and moved to Nashville to pursue his music. Kristofferson achieved remarkable success as a songwriter at the start of the 1970s. His songs “Me and Bobby McGee,” “Help Me Make It Through the Night,” “Sunday Morning Coming Down,” and “For the Good Times” helped redefine songwriting in Music City. A GRAMMY Award-winning singer, composer and actor, Lovett has broadened the definition of Americana music in a career that spans 14 albums. 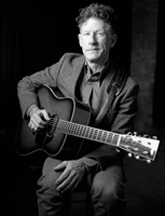 Coupled with his gift for storytelling, the Texas-based musician fuses elements of country, swing, jazz, folk, gospel and blues in a convention-defying manner that breaks down barriers. Lovett has also appeared in 13 feature films, and on stage and television. 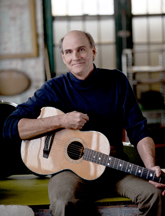 His accolades include four GRAMMY Awards, the Americana Music Association's inaugural Trailblazer Award, and Lovett was recently named the 2011 Texas State Musician. A native of Texas, Mickey grew up in Crawford, where she developed her voice and love of music singing in church. Influenced by Gospel music as a child and Country music as a young adult, Mickey has always been drawn to artists with big voices including Dolly Parton, LeAnn Rimes and CeCe Winans. College brought her to Los Angeles, but her heart and hard work led her to Nashville, where she recently signed with Capitol Records Nashville and is currently working on her debut Country album. A two-time GRAMMY Award-winner, Rucker - once only recognized as the frontman for one of the biggest bands of all time, Hootie & The Blowfish - has gracefully transitioned into one of Country music's most beloved artists. Rucker has had five chart-topping singles from his debut album, Learn to Live, and 2010 release, Charleston, SC 1966. 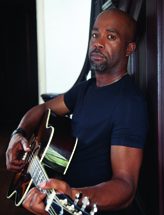 In addition to Country music, Rucker offers much of his time to charitable efforts benefiting St. Jude Children's Research Hospital, the Hootie & The Blowfish Foundation, Pattison's Academy, and many others.